Opening up the fridge and seeing some leftover Chicken Tinga leads to one of man’s most coveted dilemmas: Tinga Tacos or Tingadillas? 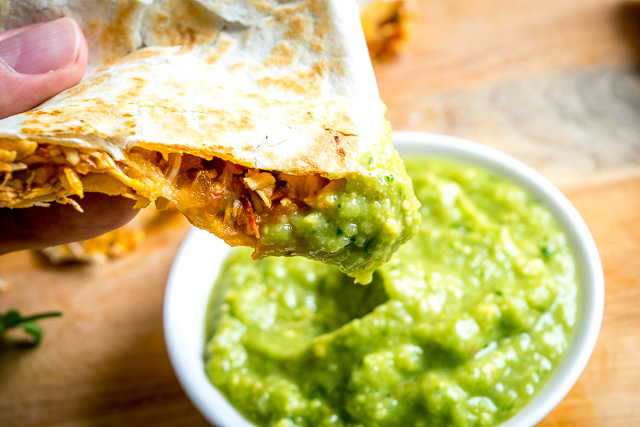 You can consider the Tingadilla a slightly more decadent version of the Tinga Taco. Hold it in reserve for those days when you are relying on some gooey savoriness to save your day. 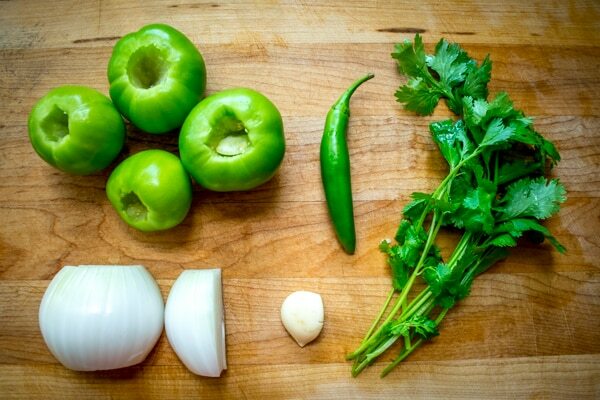 Tomatillos will lend a tartness to Tinga that is sorely missed if you are using only tomatoes. 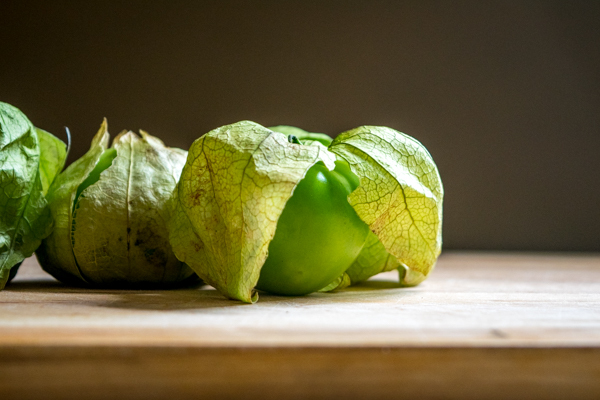 If you’re in an area where fresh tomatillos are rare, don’t fret! I’ve made this exact recipe with canned tomatillos and had equally good results. If you’re new to chipotles in adobo, you’ll find them just a few feet away from the canned tomatillos in specialty markets and well-stocked general grocers. These dried, smoky jalapenos are the hidden driver in this Tinga sauce. They can also be used to make killer salsa so keeping a few cans in the pantry will go a long way. 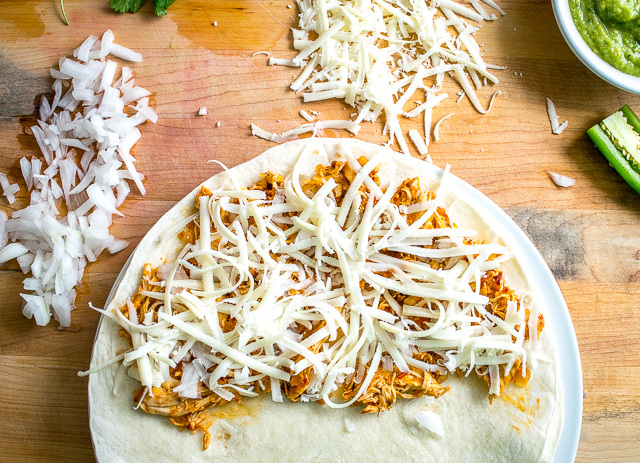 Load up half of a tortilla with the Chicken Tinga along with plenty of cheese (I used Monterey Jack). Onion and cilantro are worthy options for extra filler if you want. Fold onto itself and cook in a skillet or comal over medium-high heat until you get plenty of brown spots on the tortilla. And suddenly this Chicken Tingadilla has found it’s ideal dance partner. 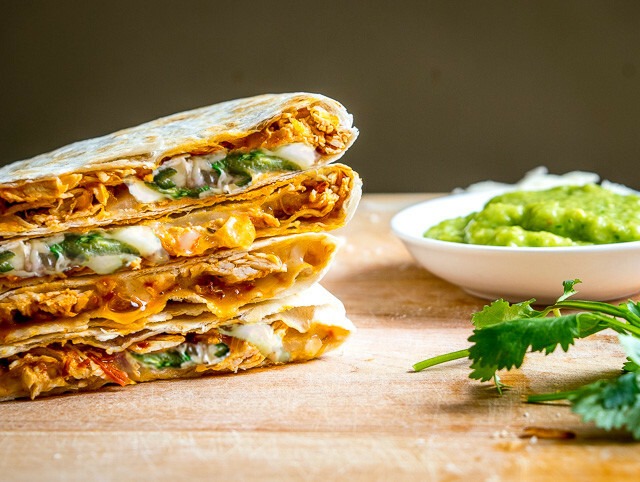 These Cheesy Chicken Tingadillas are the perfect way to use any leftover Tinga laying around. If you are cooking the chicken, cover 2 chicken breasts with water in a saucepan. Bring to a boil and simmer for 20-25 minutes or until the chicken is no longer pink inside. Simmer this sauce in a dollop of oil on medium heat. Add ½ cup stock, ⅛ teaspoon oregano, a dash of cumin, and a pinch of salt to the sauce. 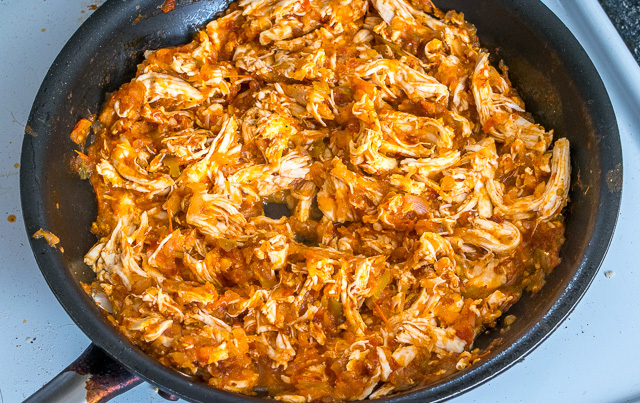 Add the shredded chicken and combine well with the sauce, bringing everything to a uniform temp. Give a final taste before serving and add more adobo sauce if you want more heat, and add salt to taste. 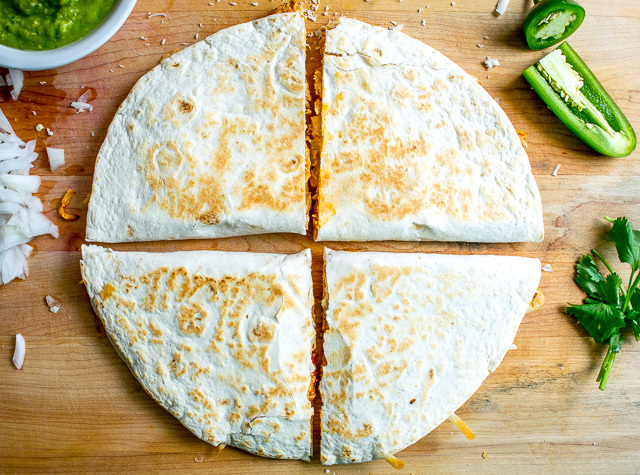 Cover half of a flour tortilla with the Tinga mixture and add a healthy layer of shredded cheese. For the Avocado Salsa Verde, fresh tomatillos will taste best if roasted in the oven at 400F until they turn army green, 10 minutes or so. No need to roast canned tomatillos. Canned tomatillos will disintegrate if you roast them so you can skip the roasting step if using canned. 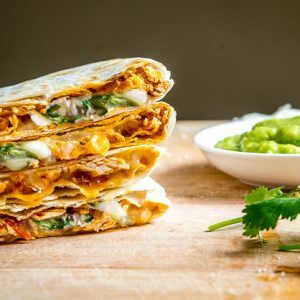 Raw onion and cilantro are good options for extra Tingadilla filler if you want. 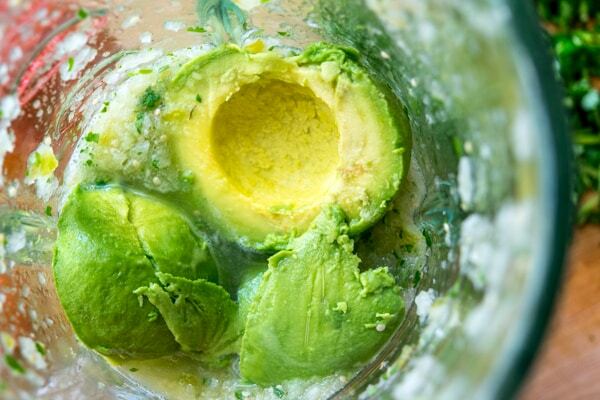 The Avocado Salsa Verde sometimes needs a few tablespoons of water to blend properly. Man, this looks amazing!!! I want some of that chicken right now. Hope everything’s going well with the blog! Your posts are beautiful and informative, as always!